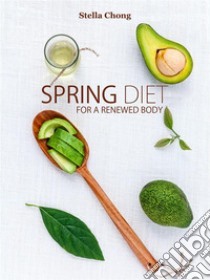 The collection of gourmet recipes in this book are selected based on an integrative approach for a diet during Spring time. With a general and quick review on different approaches regarding dietary concerns, the author synthesized three approaches to be followed to tune-in our body in this time of the year. Most of the ingredients used in the recipes are readily available in most grocery stores, but may be different from the normal table fare. The author has selected dishes you will not only enjoy eating, but that will also be fun to prepare.